European Commission building in Grussels ARCHIVE. 2019 is set to become a year of elections. 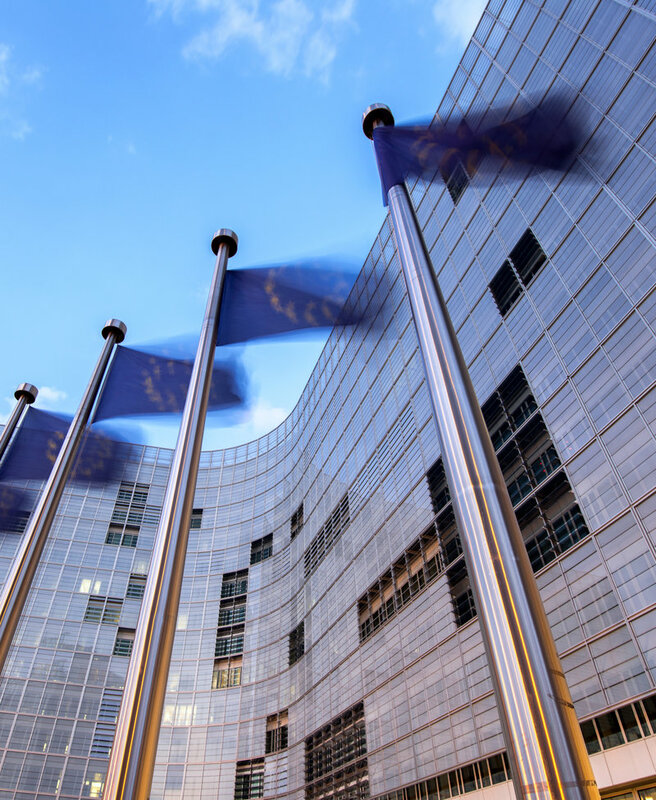 Sunday, May 26, is shaping up to be the biggest day in the electoral calendar, with local and European elections coinciding, although the possibility of other polls appearing this year cannot be ruled out. The local elections will be far from ordinary. While parties are emphasising their local angle, it is impossible to escape the fact that the elections will also serve as a plebiscite on independence and unionism, monarchy and republic. The pro-sovereignty parties know the local elections are not only key for the future control of towns, but controlling the administrative structure closest to the public provides the most effective vehicle for implementing a political discourse that goes beyond day-to-day urban management. In this sense, the fate of the Catalan Republic is also at stake in these local elections. Many questions currently hang over the future municipal map. In 2015, the PDeCAT party still maintained hegemony in much of Catalonia, although it lost Barcelona City Council, a key piece in the game, and was weakened in some cities in the capital’s metro area. It now seems that the ERC party is gaining ground and could take some of PDeCAT’s seats, or at least that is how the polls have started to paint it. In the towns where sovereignty will be a key issue, projects can be instigated to reinforce the Catalan Republic, although there will certainly be municipal areas where that dynamic will be broken, and the PSC party will be able to forge left-wing axes with an inclusive discourse about stopping the rise of right-wing and even far-right parties. The socialists today hold seven of the ten mayorships in municipalities with over 100,000 inhabitants. Only two are in the hands of pro-independence parties (Sabadell and Reus), while the Comuns party took Barcelona. The latter may be key in many cities where social concerns prevail over national ones. Another question in these elections will be whether the Ciutadans party can keep the support it achieved in the December 21 2017 Catalan election, and to what extent its results will have on turning the PP into a minor party, with the notable exception of Badalona, where Xavier García Albiol is the favourite. The possible eruption of the Vox party could also see some councils turn to the far right, helping explain the creation of left-wing pacts to curb far-right extremism. In the coming months, the future of the 712 mayors facing trial for facilitating the October 1 referendum will also become clear. Some of those affected intend to run again, despite the threat of disqualification. At the moment, however, several courts have filed the first cases that have come before them, although it is still not known if this will set a precedent, helping the cases of the other mayors still under investigation. With only five months until the elections, there are still parties on the left seeking to come up with a broad list of candidates, while others have not yet nominated any candidates. Historically, elections to choose the representatives of the Spanish State in the European Union have raised little interest. This year is an exception. 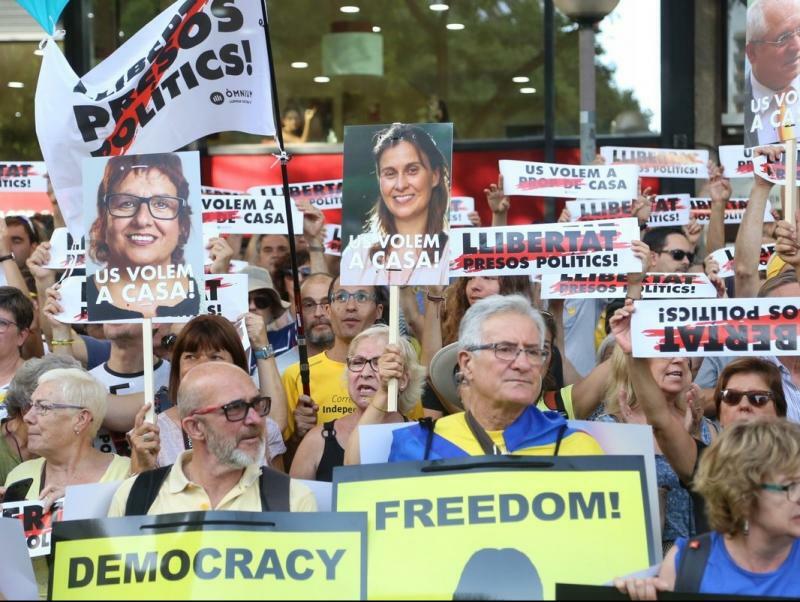 The pro-independence parties are aware that the European elections serve as a loudspeaker to send a message to Europe and the world. The independence movement is aiming to flex its muscles. The last elections, in 2014, saw ERC triumph in Catalonia, with the pro-sovereignty parties getting 59% of the vote, while the PP was victorious in Spain. The European election system is unique in Spain, with a resident of Huelva able to vote for a candidate in Catalonia, and vice versa. In fact, ERC will compete on a single list with EH Bildu and the Galician Nationalist Bloc, with Oriol Junqueras at the head. Since the republicans ruled out uniting with other pro-independence parties, JuntsxCat has not yet revealed who its candidate will be, nor under whose umbrella it will stand. The CUP party has chosen not to stand in these elections, despite the Catalan conflict also being a European issue. The party wants to emphasise the local. As in 1987 and 1999, the European elections will act a barometer for the Catalan situation. EU citizens will choose 705 MPs (there are currently 751, but Brexit will reduce the number) and the Spanish State will select a total of 59, five more than in 2014. On May 26, there will also be elections in 13 autonomous regions around Spain.